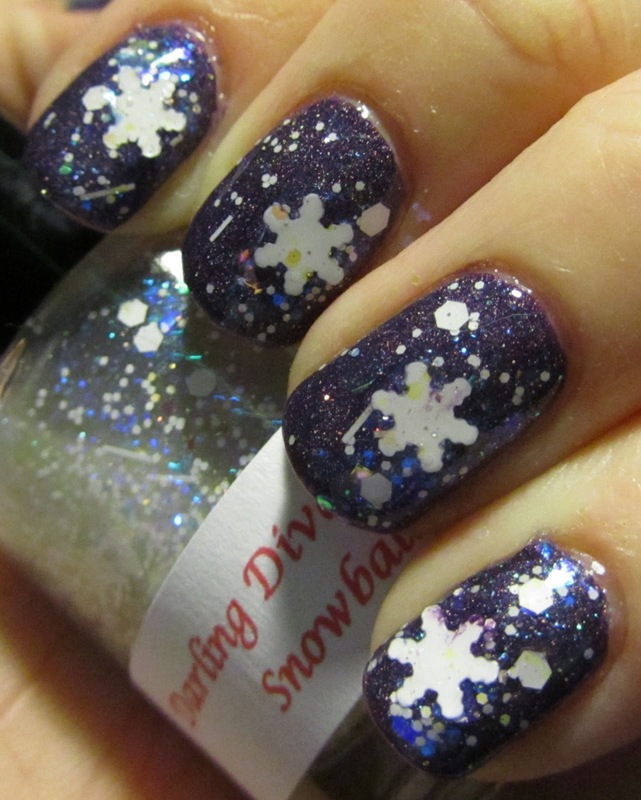 This year for Christmas, one of my gifts from my sister Becky was a totally gorgeous glitter topcoat from Darling Diva Polish, with snowflake glitter in it! How awesome is that? For this manicure, I started out with a purple base color (It was just two days before the Fiesta Bowl), a England Lady of the Lake. 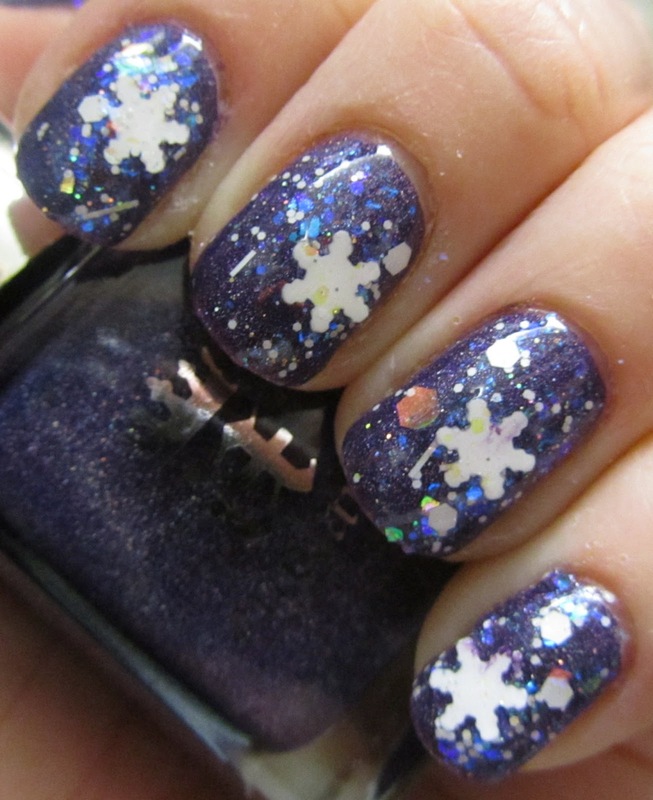 This medium purple holo is of course great on its own, but also made a perfect base for Darling Diva Snowball. This polish is a glitter-fest in a clear base; it contains white glitters in bar, large and small hex, and snowflakes shapes, as well as silver hex and various sizes of blue-green, incandescent glitters. While the glitter did end up making the polish look a bit more blue than purple, I still love the finished look. The snowflakes were sort of a pain to get out of the bottle, but in the end it was worth it. I put on about three or four layers of topcoat and still couldn't get them to lay completely flat, but I didn't have much of a problem with them snagging for several days (I started to pick at them, so that's my fault). Lovely polish and perfect for a snowy winter day. Cute!! I think this is the first I've seen a polish with snowflake glitter. so pretty and unique, you are so lucky! Aw! Those snowflakes are adorable! Gorgeous Glitter - I'm Not Lion! Nova's BarkBox - Review and $5 Discount! New Layout for 2013 - Kitty Picture Outtakes!